The night walks, after the dinner with her father were always little Anushka’s favourite. She used to talk about a million things to her father as they used to gaze at the stars together. Anushka dreamt of watching those stars through a telescope, learning more about them when she grew older. But now she doesn’t feel like going out at all. 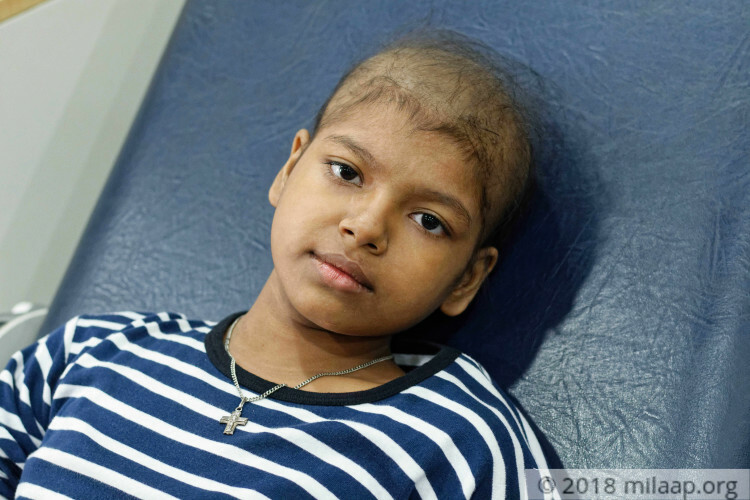 She fears that people will laugh at her when they find out that she has no hair left on her head due to the strong chemotherapy she is undergoing to fight her cancer. 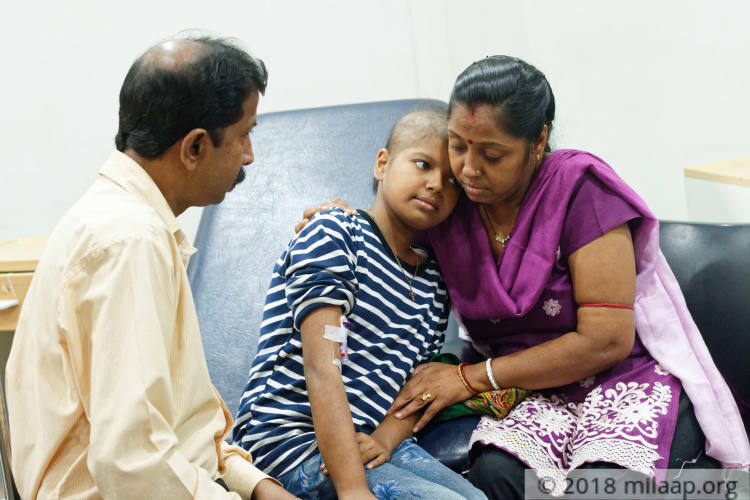 Her father, Naba Gopal sheds tears of despair as he is unable to continue his daughter’s treatment despite selling all his wife’s jewellery and taking huge loans from moneylenders. 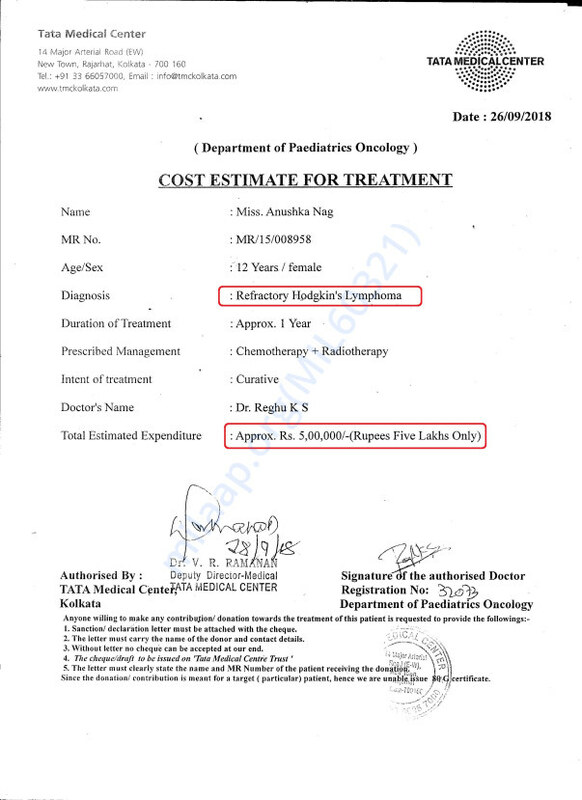 Little Anushka has been diagnosed with Hodgkin’s Lymphoma. It is a cancer of the lymphatic system that is part of the immune system. The cells in the lymphatic system grow abnormally and may spread beyond it. 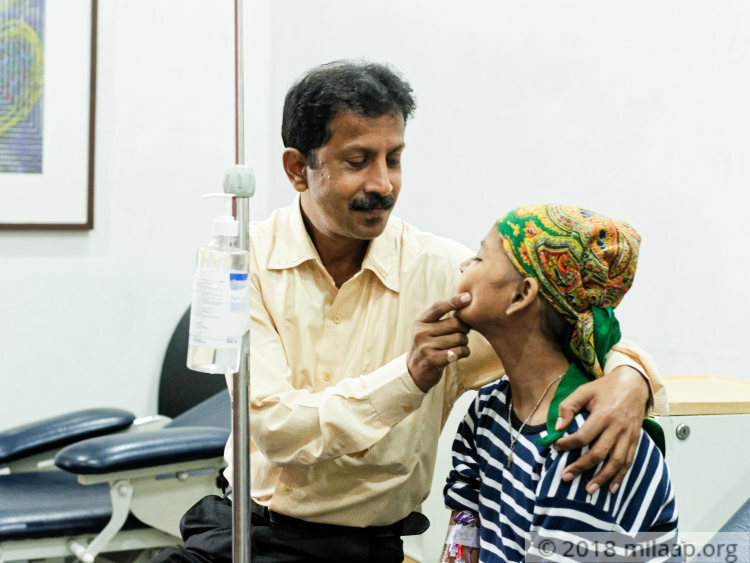 With the help of chemotherapy and a lot of care from her parents, Anushka was making progress. Slowly she was regaining her strength and had started getting back to studies, playing with her friends. But destiny had a cruel game in mind. Despite six cycles of chemotherapy, on the month of September this year, she started getting sick. Anushka used to ace at her studies and always made Naba Gopal and Shefali proud. 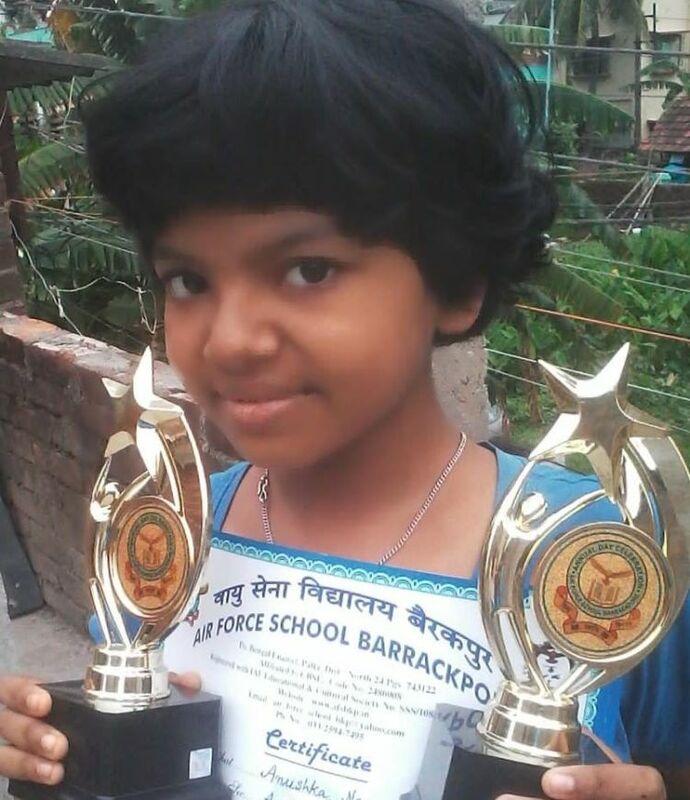 But not just that - she was also interested in quizzing, music, elocution and even received prizes for them. But all of these seem like a dream for Anushka now who can hardly leave her bed. 12-year-old Anushka is battling from cancer and needs treatment to fight back the deadly disease. Her parents are deep in debt and in no condition to arrange for the money that is required. 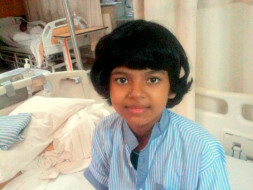 You can bring the smile on Anushka’s face and give hope to the distraught parents by making a generous contribution. Thank you for your support. Anushka is doing very well with her treatment. She has finished her 4th chemo cycle and now we are waiting for her 2nd PET-CT result which will be shared on Monday. 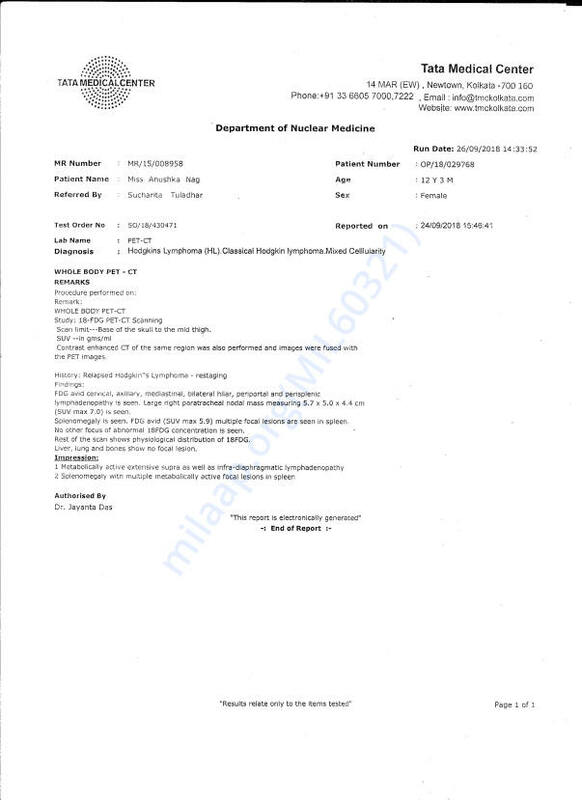 After that doctor has suggested for a stem-cell transplant because she will be given a high dose of chemo on her next visit to the hospital. 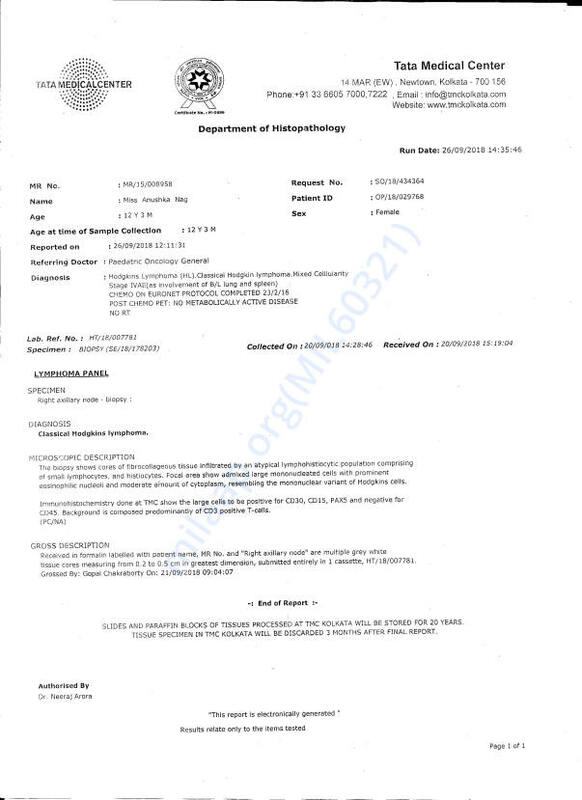 So we need the money to be transferred to her treating hospital. Do pray for her health and speedy recovery. Will keep you posted. Anushka is doing fine now. She has finished 4 cycles of chemotherapy and she needs to undergo 2 more cycles. Because of the chemotherapy her skin has turned blackish and she has ulcers in her mouth. She will be undergoing a CT scan later this month. The doctors will gauge how much the chemotherapy has helped. After the 2 cycles of chemotherapy are over, they will inform us when she can undergo the bone marrow transplant. Do keep her in your prayers. I didn't believe in miracles. But I do now. 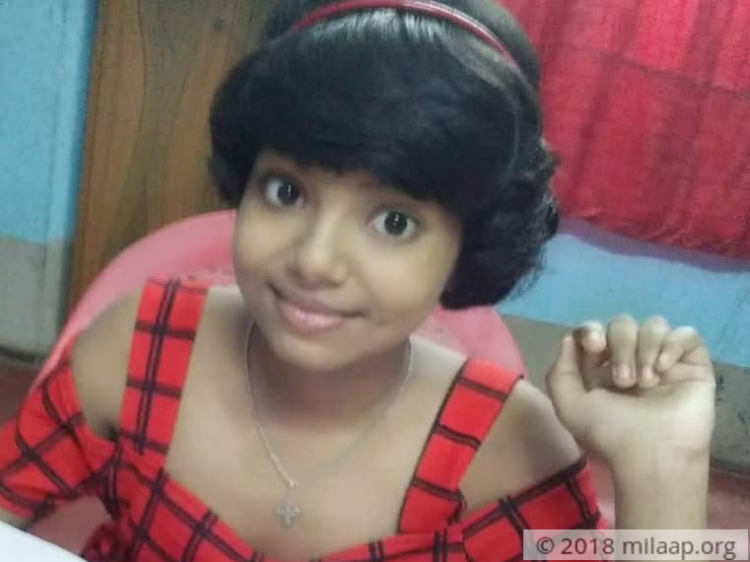 Thanks to Milaap my fundraiser raised from Rs. 11000 to over Rs. 1.5 lac in one night. Right now I am just so amazed and shocked my hands are shaking. 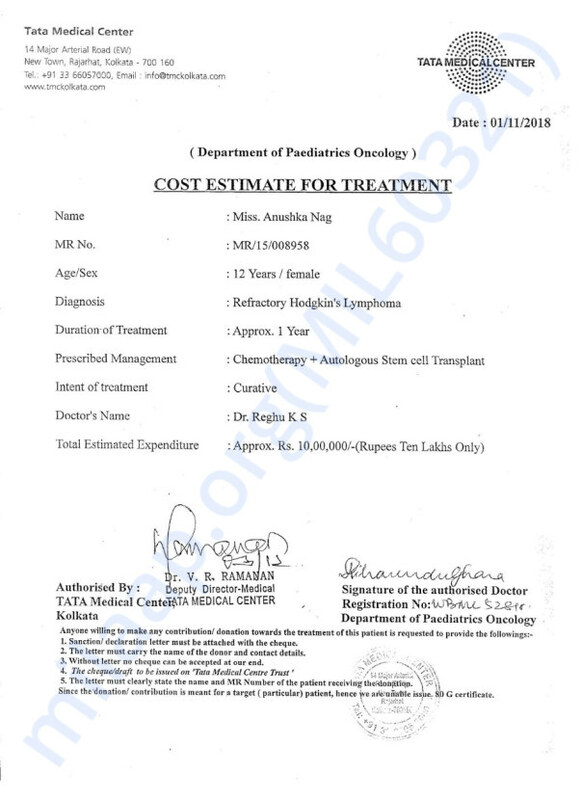 Her estimate expenditure has been increased form 5 lac to 10 lac. I will upload a new estimate as soon as possible.